With the emotion box the audience feels other things than actually exists. The emotion box stands open and empty on the stage. Two or three people are brought to the stage. 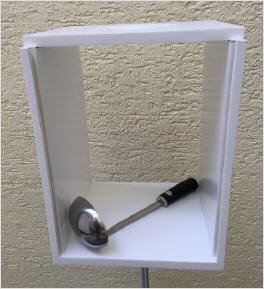 The first audience is standing on the left side of the feeling box so that he can not see inside of this. You put a bottle in the open emotion box. The audience can not see this. Now you ask access into the audience from above. He will describe the subject and he will describe the bottle (you can also take a different easy-to-descriptive object such as a shoe). You take out the bottle. Then you push the plate on the front in the emotion box, so that the audience can not see inside of this. Now you lay concealed fom behind an object in the emotion box. The audience is again the subject describe (a teaspoon). 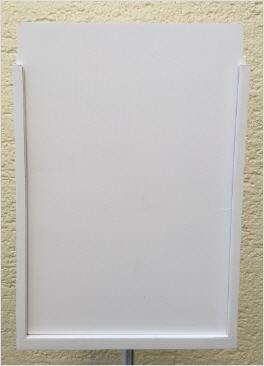 While the viewer moves his hand from feeling box, he can remove the front cover. The audience sees a large ladle. This is given to the audience. 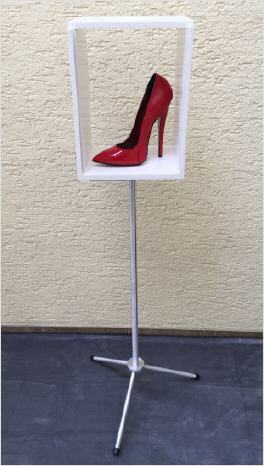 A second audience is standing on the left side of the emotion box. You push the plate in the feeling box. The audience can not see into the box. Now you put an object from behind in the emotion box. You're asking the audience to describe the second object (a sponge). While the audience moves his hand from emotion box, he can remove the front cover. 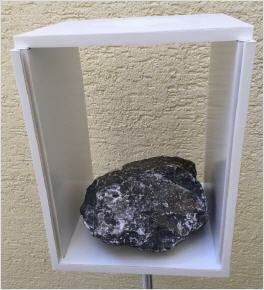 The audience sees a stone. You take the stone out and let him fall to the ground. All hear that the stone is genuine. You can perform the emotion box with three or four audience. You have endless possibilities. Many things you can give your imagination. Be able to take out the items up to 20 x 20 x 8 inches tall to be. 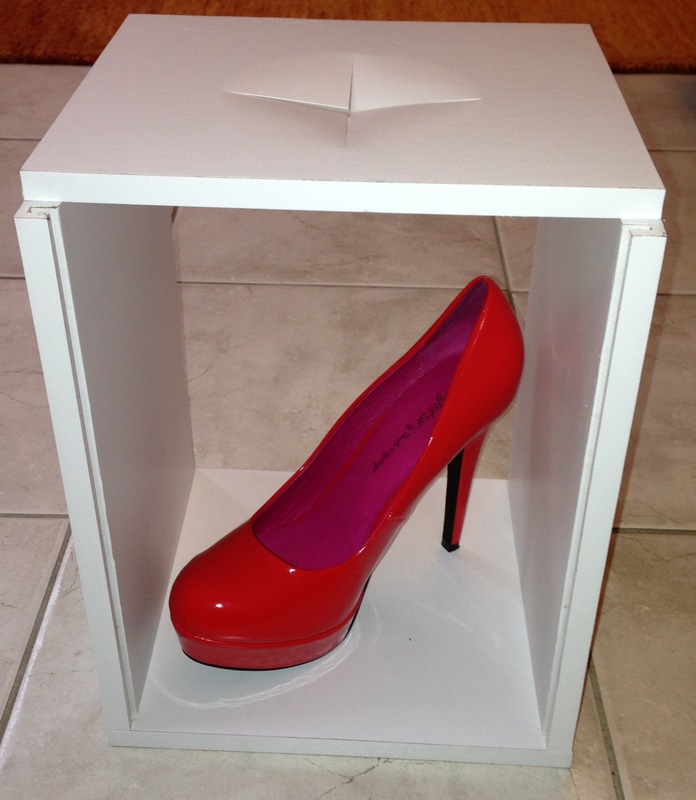 The feeling box is ideal for product presentations. You can play it from a very short distance. Only the back should not be visible. NEW: Now also available as a collapsible design for transport or with stand with plexi glas plate. The audience is shown a gift box. This is placed in the open emotion box. Only the selected audience does not see the gift box. The slide of the emotion box is pushed. The audience will be asked what they have seen. They will give the gift box in response. But the audience will feel a bottle, vase or something similar. This is left to the imagination of the presenter. When the slider is pulled out again, viewers will see exactly the object which the viewer has described. This effect is also ideal for customized product presentations. The gift box is available in black. An audience will describe the inner object of the emotion box. He will feel a wallet. He takes out a bill from the wallet and showing that the other viewers. Now the audience opens the emotion box. But there ist not the wallet, but a woman's shoe inside. If you already own the emotion box you can order the additional effects severally. Therefore please note the choices. The Emotion Box was developed in cooperation with Harry Keaton. Execution: Emotion Box Basic Emotion Box Basic with Stand Emotion Box dismantled for transport Emotion Box dismantled for transport with Stand only Stand with plexi glas plate Extension Purse to elegant ladies shoes Extension toothbrush to toiletbrush Extension mobile phone to any object Extension sunglasses to any object Extension wristwatch to any object Extension key to any object Extension any object to soccer-ball Extension Gift package to vase, bottle, etc.